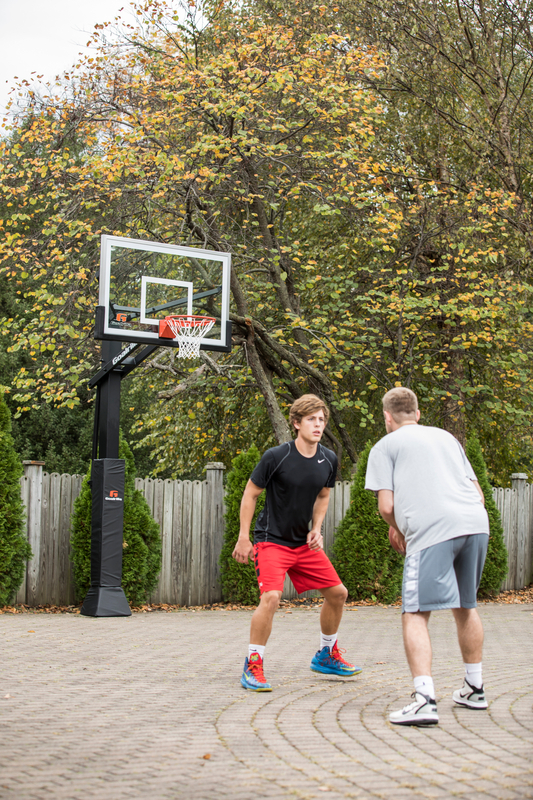 Improving your child’s basketball skills doesn’t have to be all blood, sweat, and tears – it’s also about having fun. 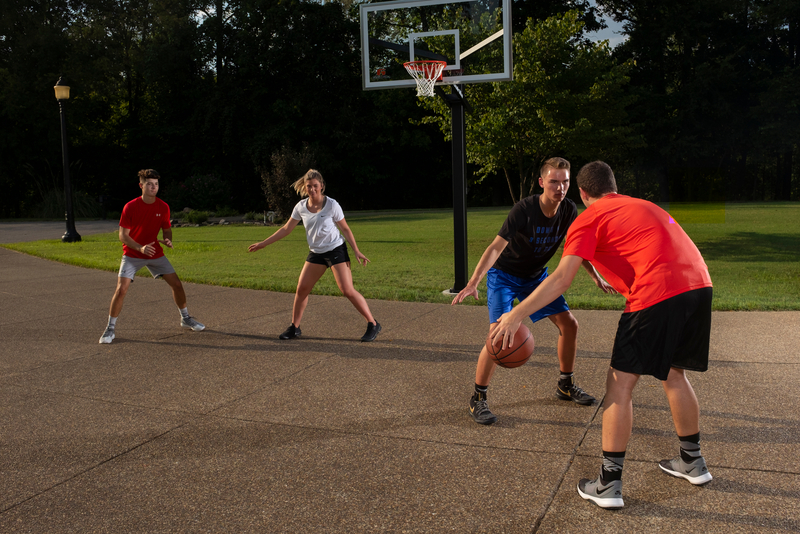 Here are some driveway classics you can play with your rising star to help refine and improve their skills including shooting, rebounding, controlling the ball, and more in your own driveway. A lesson in spelling and shooting, H-O-R-S-E can be played with two or more players. Once a shooting order is determined between players, the first player must invent a type of shot and try it from anywhere on the court. Whether it’s a “sit on the ground from the 3-point line” toss or an “eyes closed standing on one leg” attempt, the player must announce what he is trying beforehand. Whatever it is, make sure it’s unique! Participants can’t shoot the same shot twice. If the first player makes the basket, the second player tries to replicate the shot. If the first player missed, the second player can shoot from anywhere and invent a new shot. A letter is assigned to each player who has failed a challenge to eventually spell out HORSE. When a player receives all five letters, he or she is eliminated. The last player still playing is declared the winner. For a shorter version of this game, take your pick of other barnyard animals and try spelling out P-I-G or C-O-W.
Be the first player to make a shot from all positions as you follow the 3-point line “around the world.” Around the World is played by two or more players who agree on the shooting order. The shooting positions are most commonly ordered along the 3-point line with different degrees from 0, 30, 60, 90, 120, 150, and 180 with 90 being in the center. The game is most commonly played with players advancing around the world until they miss a shot. They then have an opportunity to save their position and take another “chance” shot on the same shot they missed. If the shot is successful, the player advances as normal. If they miss, the player’s turn ends and they lose a position. The first player to make the final shot successfully wins. Around the World can be modified for increased difficulty by asking players to shoot with his or her off arm or by alternating arms after each shot. Around the World can also be played alone to practice shooting. Knockout requires two basketballs and two or more players. All players line up behind the center of the free throw line or at the top of the key – wherever the players agree. Once the first player throws the ball for his or her first attempt, the second player may shoot. If either player misses, he or she must rebound the ball and continue shooting until they make a goal. The first player tries to sink their basket before the second player does, or he or she is out. If the first player successfully makes the basket, he rebounds and passes it to the next player waiting in line. Once the third player has the ball, they try to eliminate the second player, and the pattern repeats until one player remains who is declared the winner. Picture musical chairs – without the chairs. This game requires one ball per player and music that starts and stops. To begin, put all the balls in a circle and have each player walk on the outside of the circle while the music plays. When the music stops, each player must quickly grab a basketball and shoot. Once a player makes a basket, he or she sits down to show they have finished. The last player left standing is eliminated. Repeat the drill until one player remains, who is named the winner. 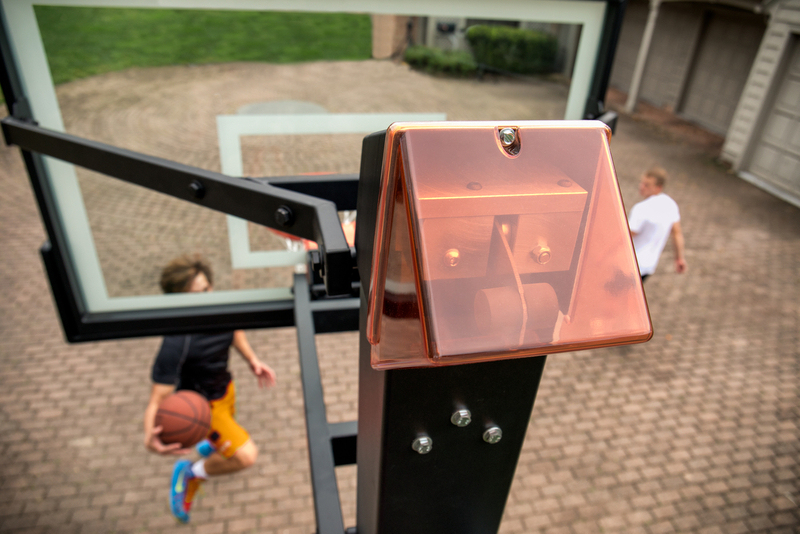 Using a single basketball goal, any number of players compete to be the first to score 21 points. The game is played as a free-for-all format where traditional rules do not apply. If a player goes over 21 points, his or her score is reduced to 11. After each successful field goal, the player who has made the field goal shoots up to three free throws in a row, until he misses. If the three free throws are made in succession, the shooter hands the ball back at the top of the key and play begins again. To avoid going over 21, players may choose to miss free throws. If the score is tied at 19, one of the tied players must first reach 21, then score two more points to win. 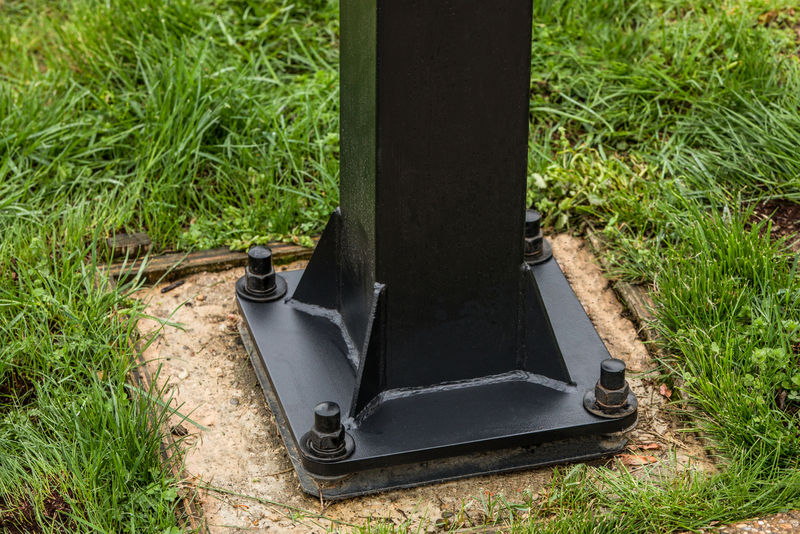 Do I need to buy an anchor kit for my in-ground basketball hoop?